In September 1944, while the battalion was near Naples, Italy before moving into France, representatives from each company met and took the following actions: approved by-laws, elected Captain (“Doc”) Katsumi Kometani as president and named three men as the first honorary members of their post war organization. These three men – Charles Hemenway, Joseph Farrington and Leslie Deacon – were respected leaders in the Territory of Hawaii and supporters not only of the 100th, but of the Japanese community. 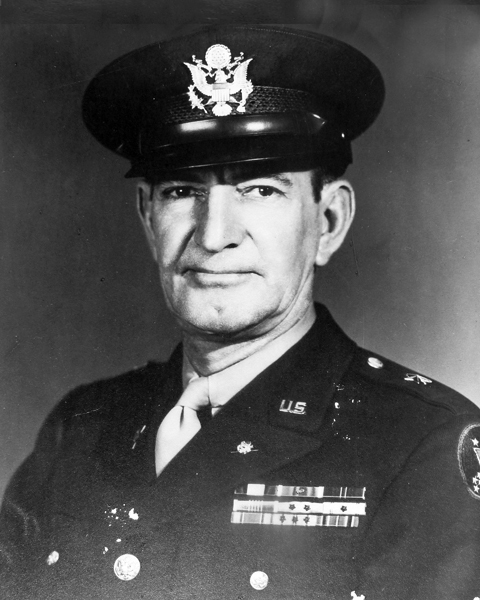 After Club 100 was formally incorporated in December 1946, the following army leaders were elected honorary members: Colonel Kendall Fielder, Major General Charles W. Ryder, General Mark W. Clark, and Major General Lucien L. Truscott. Also elected were John McCloy and Earl Finch. While Club records list Frank Matsumoto and Lawrence Kunihisa as honorary members, no other information is available. 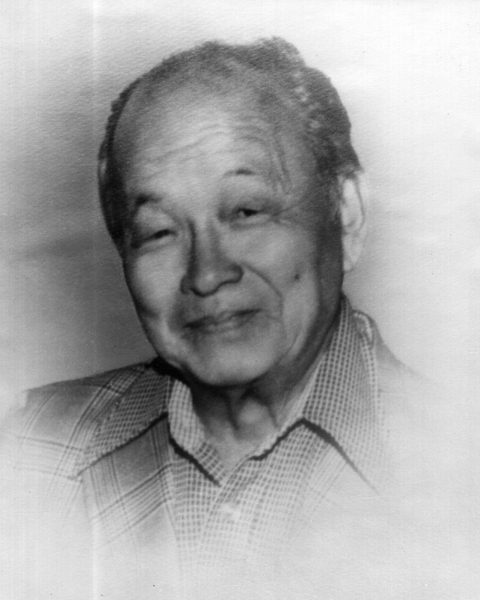 Kunihisa was a Territorial and State Senator of Hawaii in the 1950s and 1960s. Dates in parenthesis indicate year of honorary membership, if known. Mr. Farrington was an active participant in Hawaii politics who was respected for his work on behalf of the people of Hawaii. 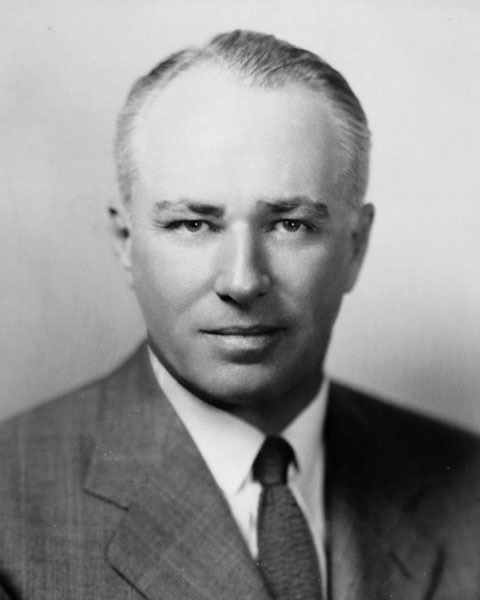 In 1942 when Hawaii was still a territory, he was elected Delegate to Congress where he worked on many bills that benefited Hawaii. He made surprise visits to the front lines and carried messages back to families. 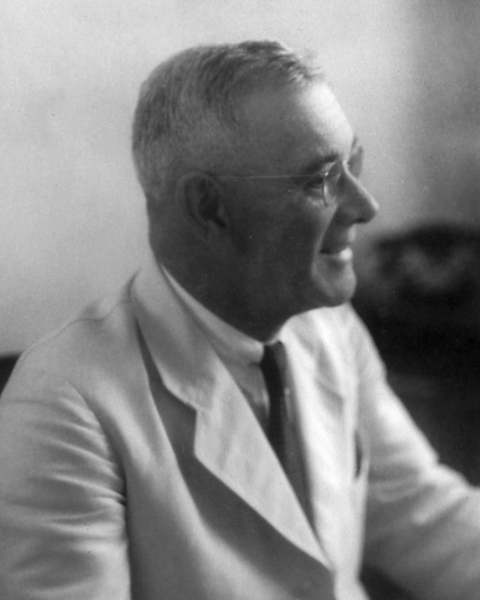 A strong supporter of the 100th throughout his life, Mr. Farrington was also President and General Manager of the Honolulu Star Bulletin and hired a wartime correspondent, Lyn Crost, to write about the 100th, 442nd and other men from Hawaii who were fighting in the European campaign. 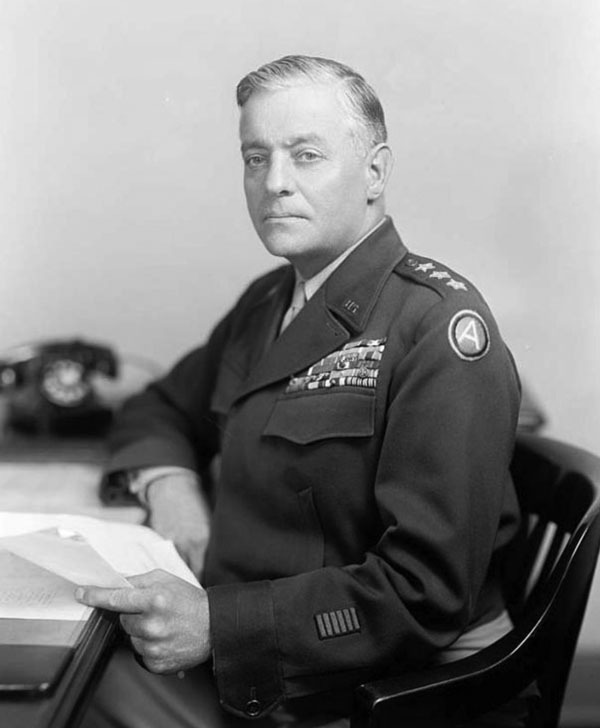 In 1944 Lt. Gen. Truscott succeeded Gen. Clark as commander of the Fifth Army in Italy. He led the Army through the hard winter of 1944 – 1945 where many of its formations were in exposed positions in the mountains and then led U.S. forces through the final destruction of the German army in Italy. 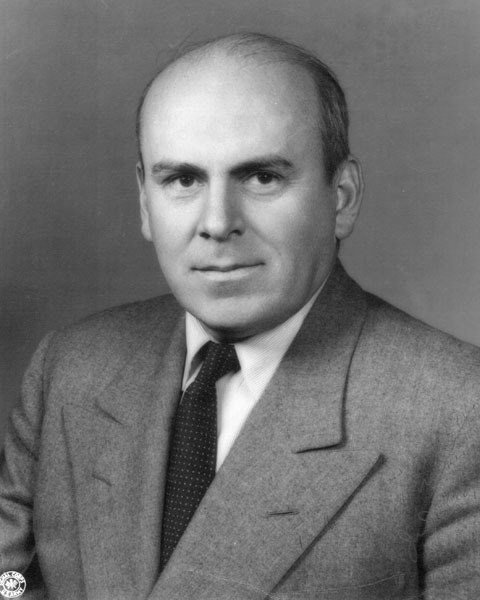 Mr. McCloy was the Undersecretary of War during World War II. There was much discussion by the military command and government officials of the use of Americans of Japanese Ancestry (AJA) soldiers in the war effort. He believed that most Americans of Japanese descent were loyal and strongly supported the formation of an AJA unit for combat duty in Europe. 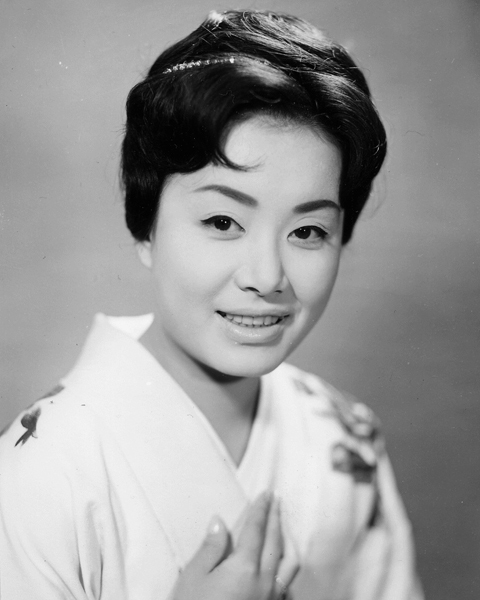 In May 1950, when she was 12 years old and already a popular entertainer in Japan, Ms. Hibari gave three concerts in Hawaii at the Civic Auditorium and McKinley High School in Honolulu and on the Big Island. Club 100 sponsored these shows, partly as a fundraising project for the building of the clubhouse and also to bring live Japanese shows for the veterans’ parents and their friends who were born in Japan. 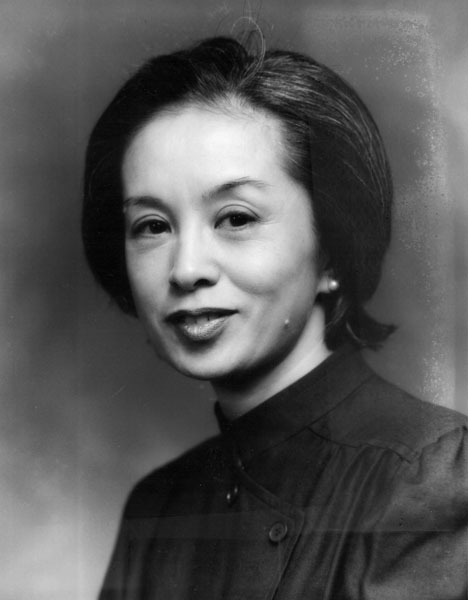 Mr. Kawada was her mentor and manager, plus a performer in his own right. They donated all concert proceeds to the Club’s building fund. Reverend Higuchi was one of the chaplains for the 442nd Regimental Combat Team during the European campaigns. For many years he was an active participant in the Club 100 memorial services and annual installation ceremonies of new Club officers. Throughout the years, in war and peace, he gave spiritual guidance, leadership, and moral support to the men of the 100th. Reverend Higuchi helped to create closer ties between the members of Club 100, the 442nd Veterans Club, and other veteran organizations. After the death of Reverend Hiro Higuchi whom he considered his mentor, Reverend Asman was considered a mainstay who offered his guidance and support to Club 100. 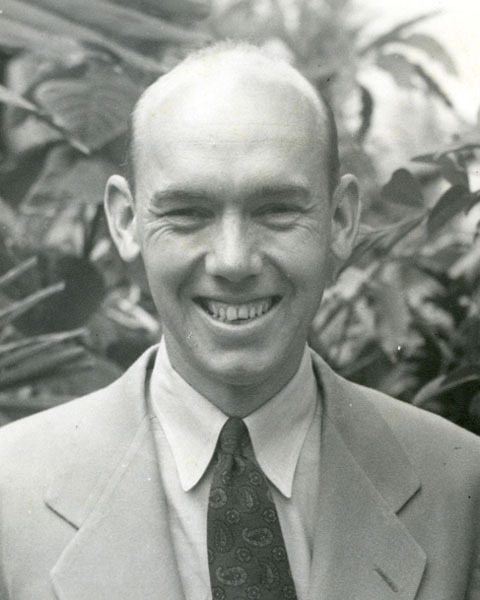 Many 100th members attended the Manoa Congregational Church where he was pastor. He conducted many services over the years at the clubhouse and became the unofficial chaplain for the club. For over 40 years, Mr. Suga donated his talent and time by creating signs, posters, and banners for Club 100 events. During the postwar years, Club 100 sponsored shows of entertainers from Japan as a means to raise funds. Mr. Suga created many items for these shows. Whenever the Club participated in parades, he created banners for the automobiles carrying the veterans and designed and made large banners for the 40th and 45th anniversary reunions. Mr. Suga became a minister of the Tenrikyo Temple. Whenever the Club participated in parades, he created banners for the automobiles carrying the veterans and designed and made large banners for the 40th and 45th anniversary reunions and never wanted any payment for his work. 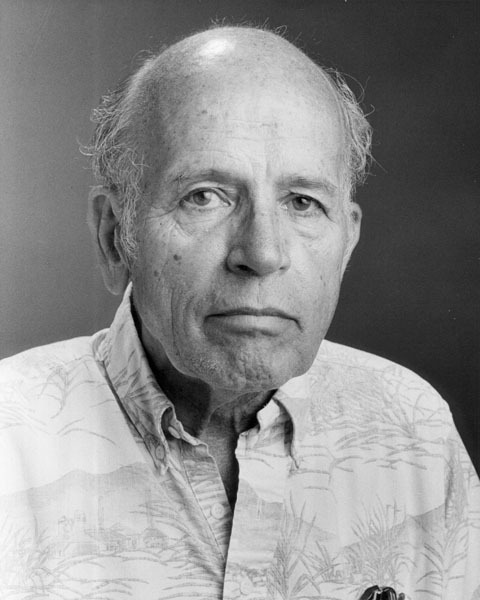 A native of Pennsylvania who was a journalist and editor for the Honolulu Star Bulletin for 45 years, Mr. Smyser first came to Hawaii as a naval officer in World War II. 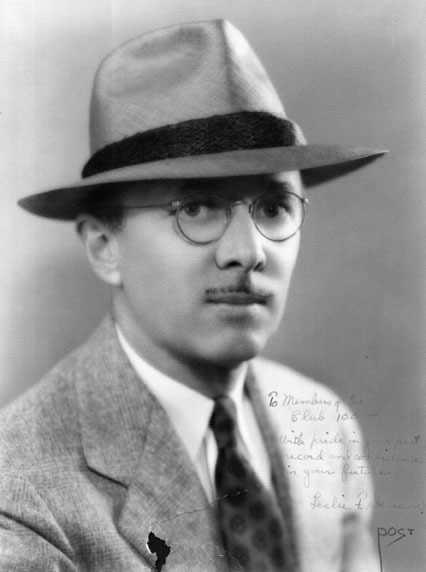 He returned in 1946 to begin a career as one of the best known and respected writers and editors in the Islands. 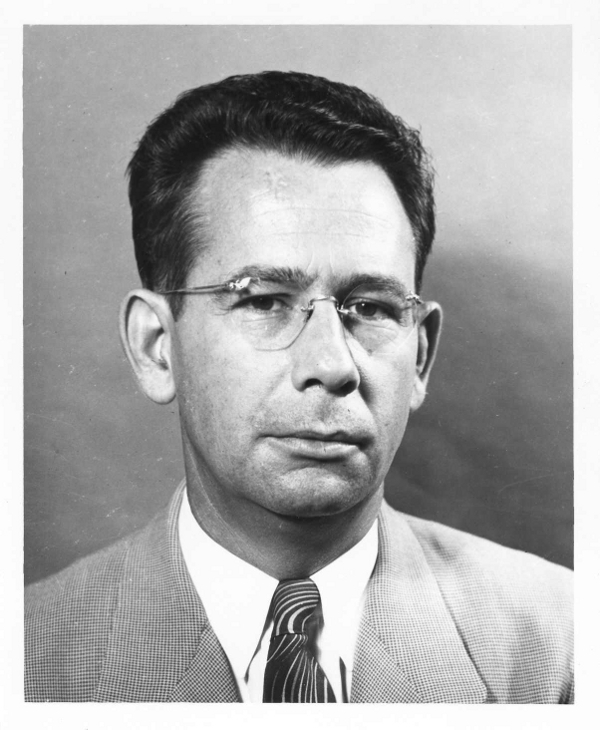 Mr. Symser’s reporting of Hawaii’s postwar struggles to win statehood was instrumental in moving this issue forward and the Star Bulletin’s crusade for statehood was a factor in persuading Congress to approve it in 1959. He was a long time friend of Club 100. A newspaper reporter, NBC news foreign correspondent, and reporter, anchor, and news manager at KGMB-TV, Mr. Jones spent many hours doing research on the history of the battalion, getting to know and interviewing the veterans, and keeping alive many stories that may never have been told. In 1992 Mr. Jones led a tour to Italy of 75 veterans and family members. After the trip he wrote, produced, and narrated a two hour documentary, “One Puka Puka,” that was shown as part of a KGMB-TV tribute recognizing the loyalty and courage of the men of the 100th battalion. 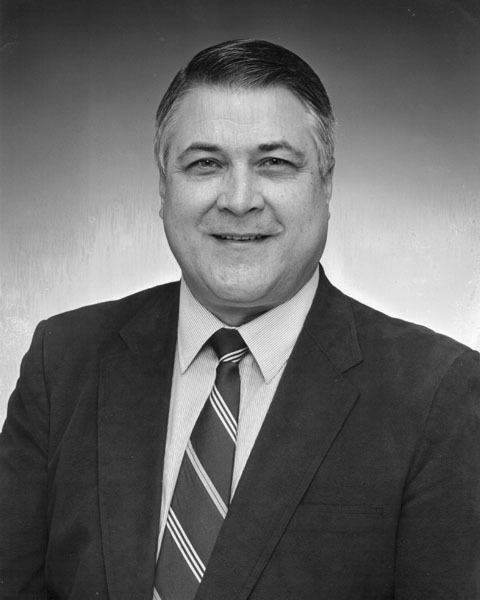 After 28 years in the Marine Corps, Mr. Castagnetti was appointed director of the National Memorial Cemetery of the Pacific (Punchbowl) in 1990. Mr. Castagnetti supported the efforts of the Club to share the 100th veterans’ experience with visitors to Punchbowl through the creation of a weekly docent program. He arranged for special headstones for the 100th and 442nd veterans that show their specific military unit, rather than just the branch of military service. 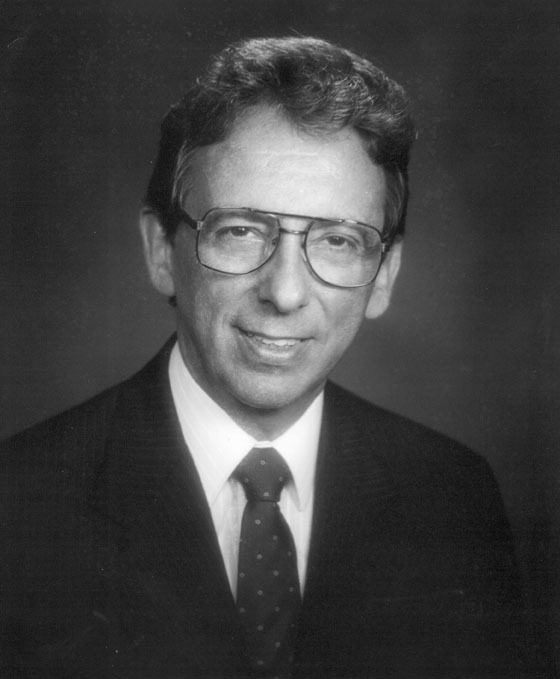 Mr. Castagnetti’s support has been critical to the success of the annual memorial services. The veterans were deeply appreciative when he arranged for American flags to be placed along the road to the cemetery for the memorial service in 1992 which commemorated the 50th anniversary of the first 100th soldier who was killed in combat. 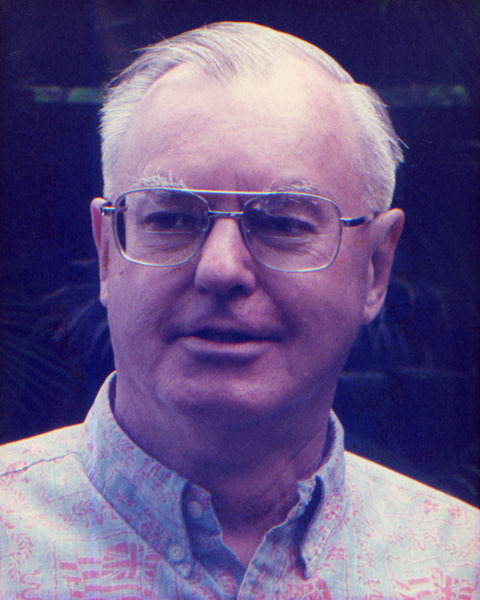 A journalist since 1955, Mr. Halloran worked for the New York Times for 20 years, mostly as a foreign correspondent in Asia and military correspondent in Washington, D.C. He was also the Director of the Program on Communications and Journalism at the East-West Center and Editorial Director of the Honolulu Star-Bulletin. 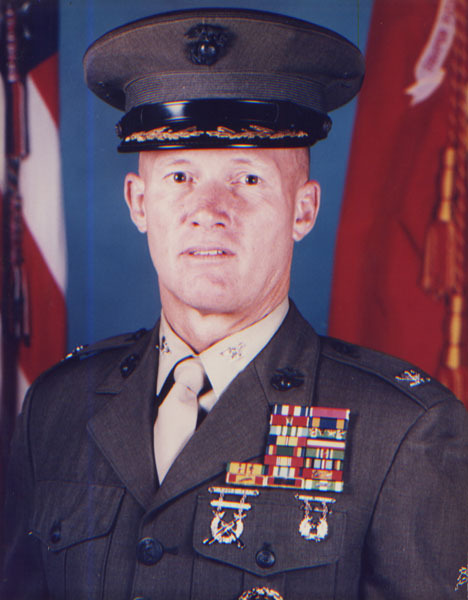 The keynote speaker at the 1997 Memorial Service, Mr. Halloran wrote a biography of Sparky Matsunaga, “Sparky: Warrior, Peacemaker, Poet, and Patriot,” and developed a brochure on the history of the battalion for clubhouse visitors. 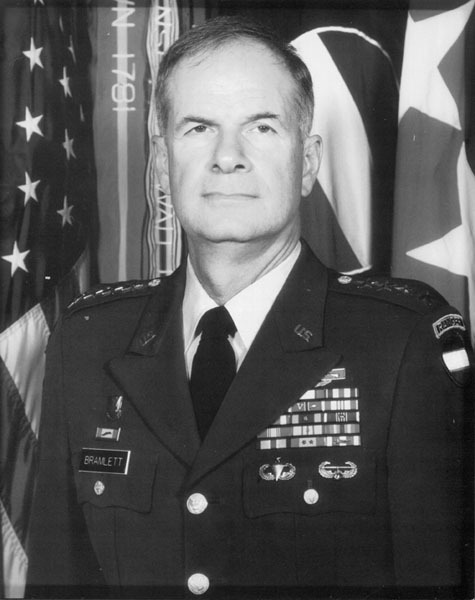 General Bramlett is a retired United States Army four star general who served in numerous command and staff positions during his 34 years in the army, including serving as Deputy Commander in Chief and Chief of Staff, United States Pacific Command at Camp H. M. Smith, Hawaii. In 1995 he was responsible for the successful Hawaii observance of the 50th anniversary of the end of World War II, working closely with the AJA Veterans Council members. 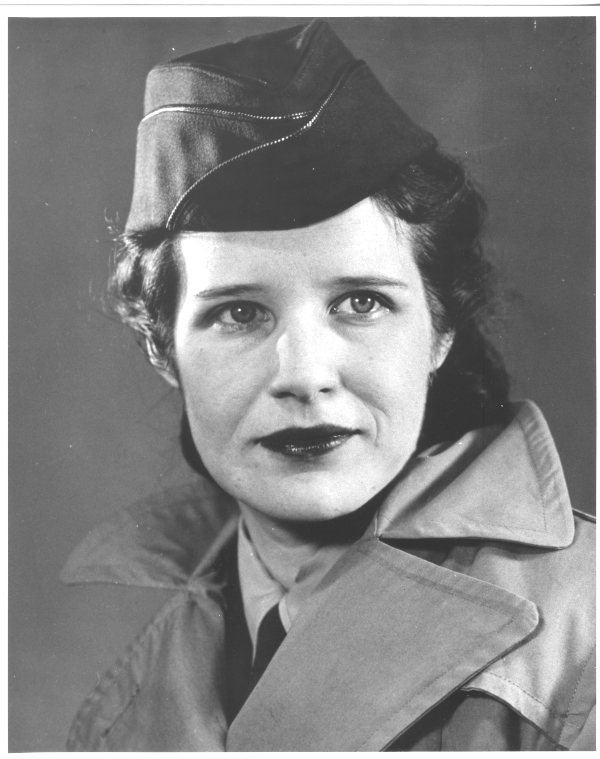 When he was later stationed on the mainland, he provided support for the upgrading of Distinguished Service Cross awards to the Medal of Honor for Nisei World War II veterans and valuable help for the Medal of Honor Salute. 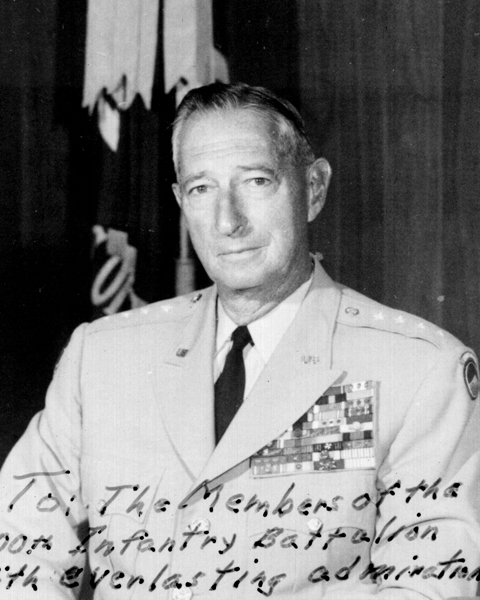 General Bramlett assisted the Club with preparations for the dedication of the monument at the National Infantry Museum in Fort Benning, Georgia. In 1998 he was the keynote speaker at the annual memorial service. He continues his support of AJA veterans today. 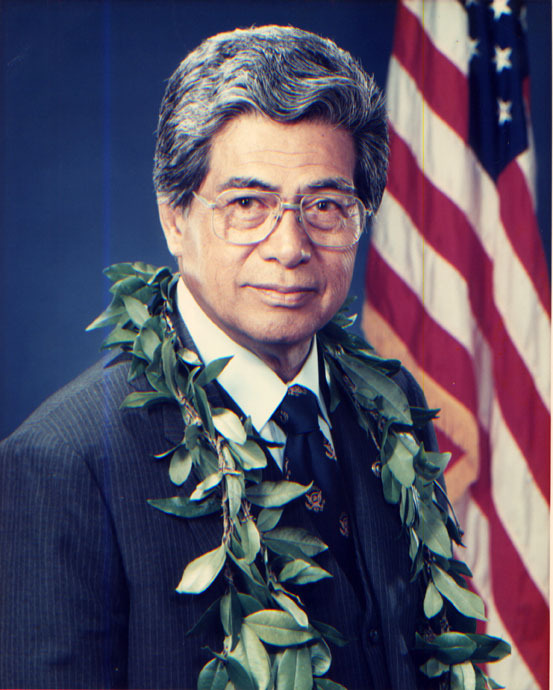 Serving in the House of Representatives from 1976, Mr. Akaka was appointed to the Senate in 1990 when Senator Sparky Matsunaga passed away. 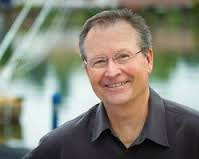 From 1990 he has served on the Veterans Affairs Committee and has been a strong and consistent advocate for veterans. 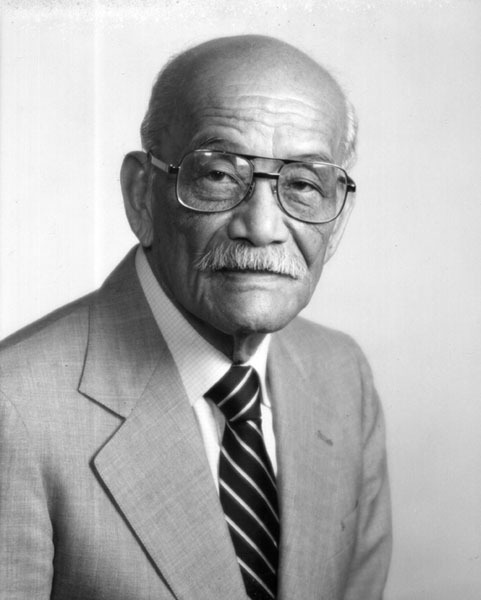 In 1996, he secured a Congressionally mandated review of records for Japanese Americans who had earned the Distinguished Service Cross in World War II. A committee reviewed these records to determine whether these soldiers had been unfairly denied the military’s highest award for valor. Their review resulted in 22 DSC awards being upgraded to the Medal of Honor. In June 2000, President Bill Clinton presented the awards at a White House ceremony. General Shinseki retired in 2003 after a 38 year career in the army. A native of Kauai and a graduate of the U.S. Military Academy at West Point, he served in a variety of command and staff assignments in the United States and overseas, including two combat missions in Vietnam. 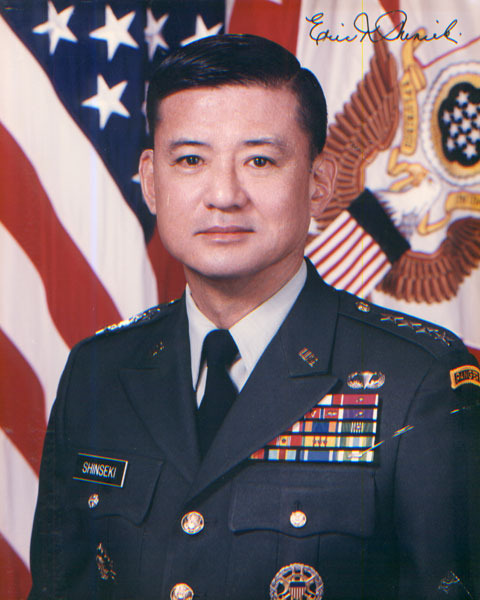 General Shinseki served as the 34th Army Chief of Staff from 1999 – 2003. He is the first four star general of Asian descent in the U.S. military and the only Asian American to be promoted to the Army’s top position. In 2009 he was appointed Secretary of Veteran Affairs by President Barack Obama. On numerous occasions, he has spoken of his debt to his uncles who were in the 100th and 442nd and to the veterans who made possible the opportunities available to all Americans, but especially to Americans of Japanese Ancestry. Major General Robert Lee served in the 100th Battalion/442nd Infantry Army Reserve for over 13 years of his 30 year military career. Promoted to commanding officer of the unit, he later served as Commanding General of the 9th Regional Support Command, U.S. Army Reserve-Pacific. Maj. Gen. Lee could always be relied upon to support the Nisei veterans and the 100th Veterans club. In 2003, he was appointed as The Adjutant General (TAG), State of Hawaii, Department of Defense. While TAG, he helped secure a State grant to create the 100th Education Center. He also recommended that the Hawaii Air National Guard C-17 cargo plane be named “Spirit of Go For Broke” in honor of all the World War II Nisei soldiers and those who served with the 100th/442nd Reserve Unit. 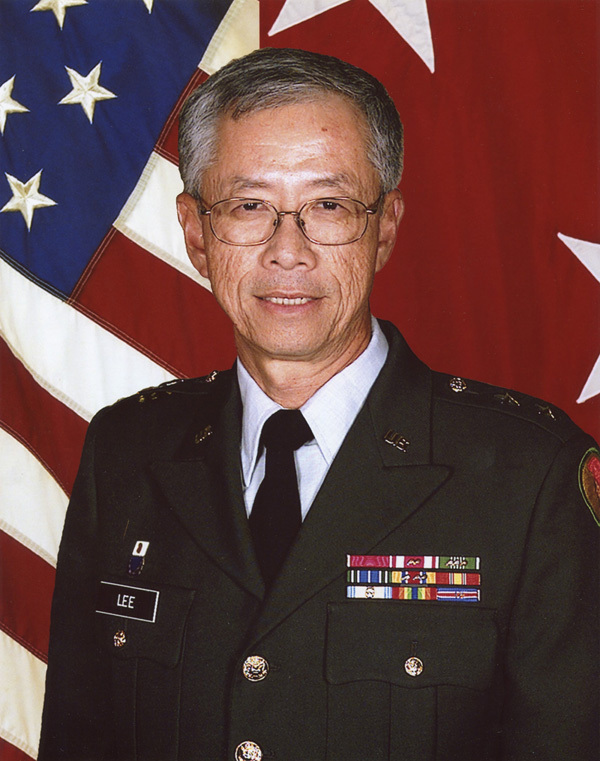 Upon retirement in 2011, Maj. Gen. Lee continued his support of the Nisei veterans, serving on the planning committee for the Congressional Gold Medal events and regularly visiting the clubhouse to “talk story” with the veterans. An offspring of two missionary families and a 100-year lineage of Honolulu newspapermen, Graham Salisbury was raised in Hawaii. Although his family was associated with Hawaii’s morning newspaper, the former Honolulu Advertiser, Salisbury instead chose to write fiction and has so far authored 19 books for children and young adults. His award-winning books have portrayed the people of Hawaii, including the Japanese community and the 100th Infantry Battalion, in a positive light. 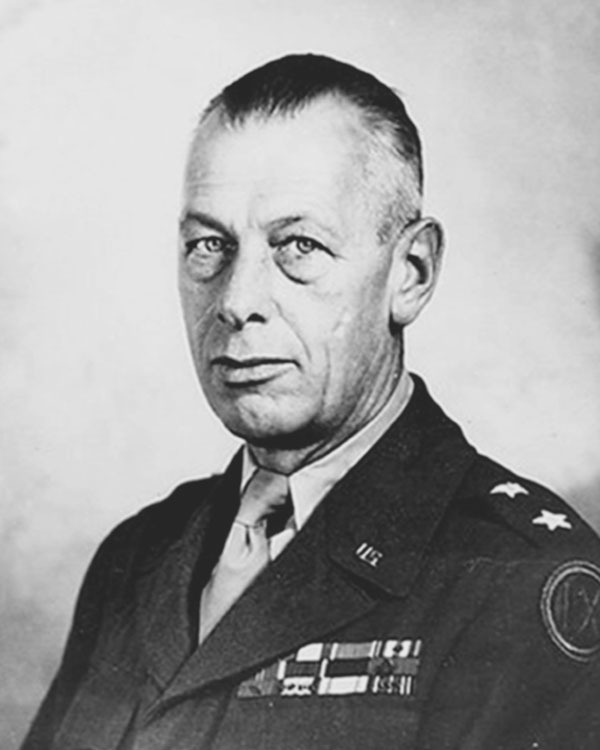 In nominating Mr. Salisbury as an Honorary Member, the Baker Chapter cited the author’s “genuine respect and admiration for the AJA veterans and his gratitude for their service.” In his book, “Eyes of the Emperor,” Salisbury revealed the strength of character, courage, and loyalty of the Third Platoon of the battalion’s Company B. This book has won several literary awards. In addition, Salisbury has lent his support to fundraising efforts by the 100th’s Veterans Club.